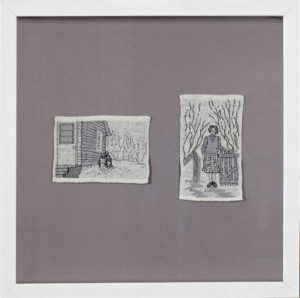 Elycia SFA is a textile artist based in Toronto. 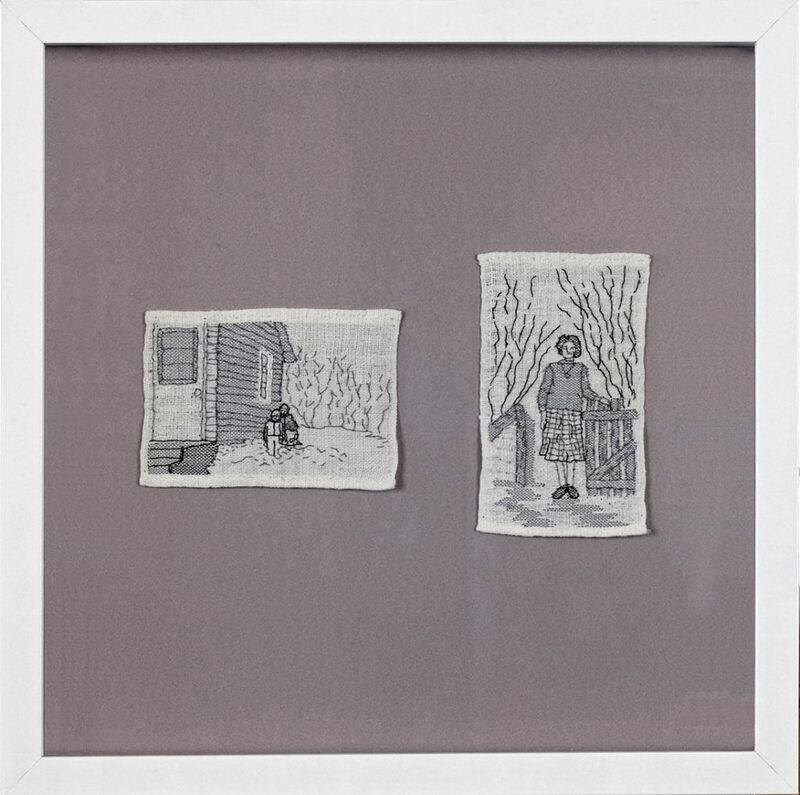 Her work explores personal narrative and the deconstruction of memory, nostalgia, and loss, by portraying these concepts in the form of handwoven cloth. Using weaving to fabricate images of locations and objects in transition over time, the textile becomes a material archive of memory within a changing landscape, re-making and distorting the image within the woven cloth. In recent works, she has thematically explored the preservation of memory, with a focused interest in domestic dwellings and the objects that inhabit them. While considering weaving as a tool for image making, she incorporates woven inlay and embroidery, which allows her to draw with thread and to create representational imagery within the body of the cloth. SFA attended OCADU for Material Art and Design: Textiles, graduating in 2015. She was accepted into Harbourfront Centre’s Artist-In-Residence program and awarded a scholarship in 2016. She was a recipient of the Helen Frances Gregor Award in 2017.